Jens Peter Maintz studied with David Geringas and took master classes with Heinrich Schiff, Boris Pergamenschikow, Frans Helmerson and Siegfried Palm. He won first prize in the 1994 ARD competition in Munich, which had not been awarded for 17 years in the Violoncello category. 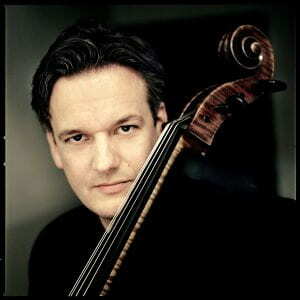 From 1995 onwards, he was principal cellist of the Deutsches Symphonie-Orchester (DSO) Berlin, till in 2004 he became professor for cello at the University of the Arts (UdK) in Berlin as successor to Wolfgang Boettcher. At this time, he was also a long-serving member of the Trio Fontenay. At the invitation of Claudio Abbado, he has been principal cellist of the Lucerne Festival Orchestra since 2006. Jens Peter Maintz plays a cello by Vincenzo Ruggeri from the year 1696 and another built by Wolfgang Schnabl in 2010.